Often as your business grows, the demands of the finance function can become more than you have the time or the expertise to deal with on your own any longer. Yet employing a permanent finance director is a step too far and too expensive at this stage. Lothian Accounting can put together a package of services on a fixed-fee basis directly tailored to the needs of your business. You may need just one or two of these services at this stage. You may need them all. Lothian Accounting can design a package that’s right for your business and stage of growth. 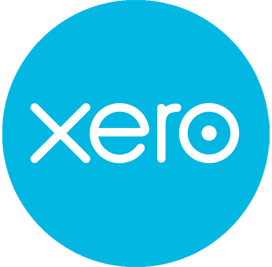 My fee structure will always include the Freeagent or Xero bookkeeping system, depending on which system you prefer. I am happy that part of my fees go towards allowing you to operate one of these systems which brings greater transparency, efficiency and security of your financial information. What can the package include? Ensuring your staff are paid and that you comply with all the relevant regulations by running small payrolls and dealing with all Real Time Information compliance​ including P60 and P11d filing. Keeping your business on track and focused on targets by preparing and/or reviewing your management accounts monthly or quarterly, monitoring the actual results against budgets, and giving you feedback on key variances. I can also prepare Board papers and summaries of key financial results. Making sure your financial processes are fit for purpose by evaluating your financial systems and how they integrate with your operational systems to ensure they give you relevant and accurate information when you need it. I can also help you select a new financial system if you need one, and take responsibility for getting it up and running. Helping you build and develop your business with a finance strategy focused on growth. Depending on your company’s needs, this could include helping you with a long-term business plan, budgeting and forecasting; creating and measuring key performance indicators; and devising appropriate management structures and rewards that will enable your company to grow. Giving you the financial insights you need to help in negotiations with bankers or other investors. Helping you grow through acquisition by giving you advice on acquiring businesses and assisting in the post-acquisition integration.